They start at $90. That is everything in the picture minus the bowl. I don't make hoses or bowls to compete in the low end market but I know three hoses at $40 a pop and a $30 bowl turns this into a $240 hookah. So I offer them in a way you can use whatever you want to put on them. So many people have several hoses and bowls they would rather use them. The ones I have sold were all base units. hmm...I might pick one up once I start making money again...hahahahahaha...as it stands I can't afford groceries. I can understand that. This stuff is hardly a neccessity. Hopefully your situation gets better soon. be sure to get the groceries too!!! wtf?? how did i miss the updates in this thread? 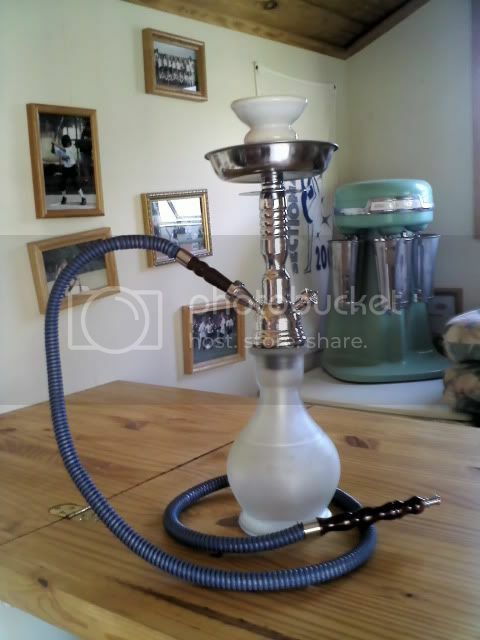 that hookah is badass scalli. id hit you up for one indeed. im glad our board is aquiring all these different kinds of people! How the heck did you miss this one my dear? Thanks for the compliments. Hopefully things pick up sooner than later for the economy and people can do a little better than just living paycheck to paycheck. Come on everyone I wanna see all the different and crazy hookahs you have out there? Take pics of your hookahs and post them up lets see what they all look like. 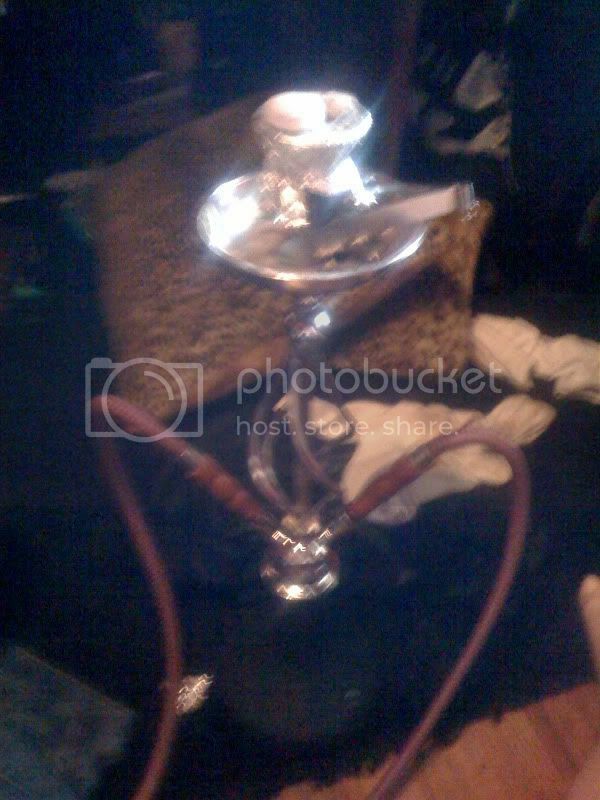 I seen some crazy hookahs. Lets see what you all have. Or take pics of your collections.. Ain't nothin' in this world for free.. I apologize, but I merged these threads.. There's no reason for multiples running around here. My Hookah isnt special like all of yours. haha. gutted. its a lot smaller. Probably just some kind of standard rubbish. lol alright I'll add that to my ever growing list of "stuff to do"
Something I put together from another sight, before I knew better lol.